A global B2B software and services company in the tech industry providing solutions for brands like Uber, Tesla, Ben & Jerry’s, GrubHub, and Winmark. 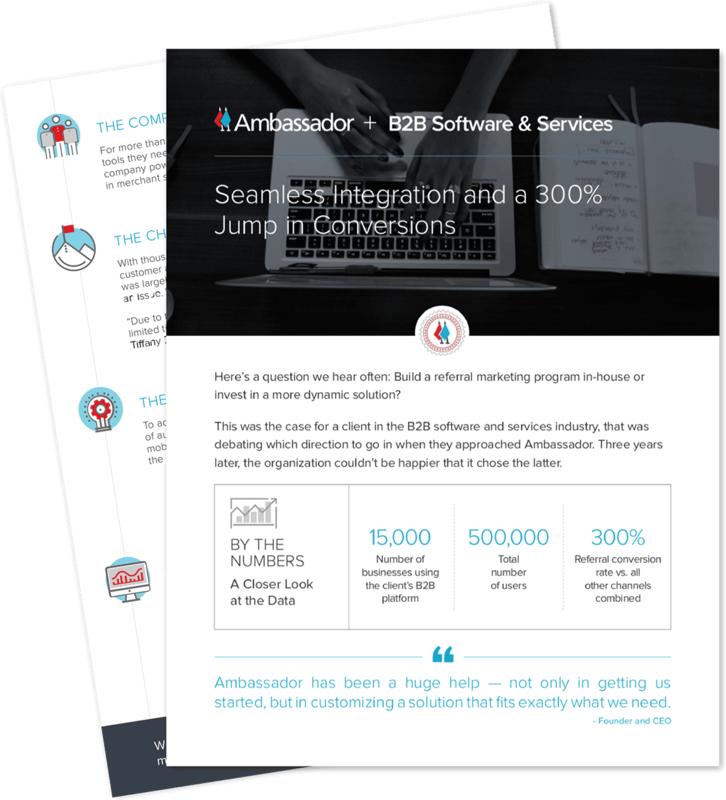 As the organization grew, it faced a challenge most SaaS companies dream of: The business had a large base of loyal customers who were eager to spread the word about the service, but no way to measure and track those referrals. Without that capability, the business was missing out on valuable data and the opportunity to influence, track, incentivize, and scale word-of-mouth.